Alpha Animation’s hit preschool animation is flying onto Tiny Pop in February, the firm has announced. 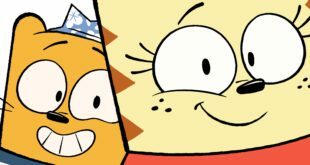 Debuting on the network today, season one of the action-packed series will be aimed at children aged three to six, showing twice daily on weekdays, at 14.00 and 16.00 and at 08.30 and 17.00 on weekends. The series revolves around an adorable jet plane named Jett who travels the world experiencing different cultures while delivering packages to children. 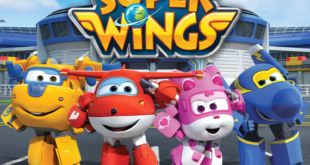 With every delivery, Jett encounters a new problem that he and his friends, the Super Wings, must work together to solve. 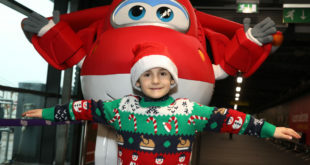 Jett and the Super Wings have the unique ability to transform from planes into amazing heroes who can run, climb, lift, dig and even dive deep under the sea. “Tiny Pop is the perfect platform to elevate the Super Wings brand even further following its hugely successful launch this year,” commented Mark Hyndman, UK & Ireland general manager at Alpha Animation. Since launching in the UK in July, the brand has clocked up millions of global sales and is ranked as one of the top 10 new properties of the year.